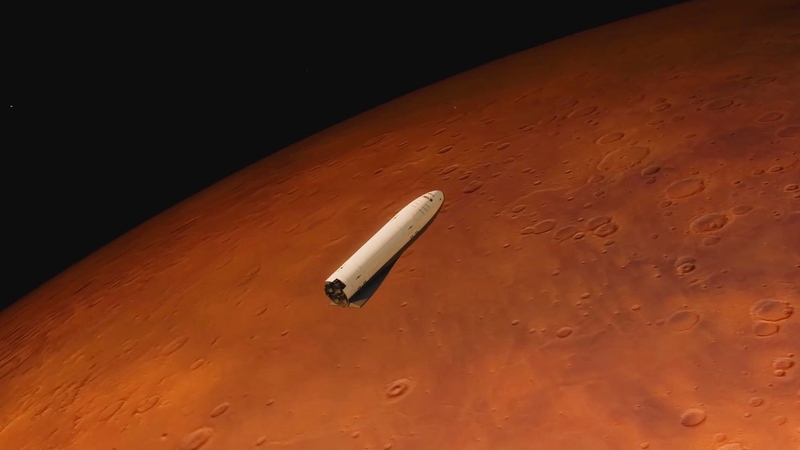 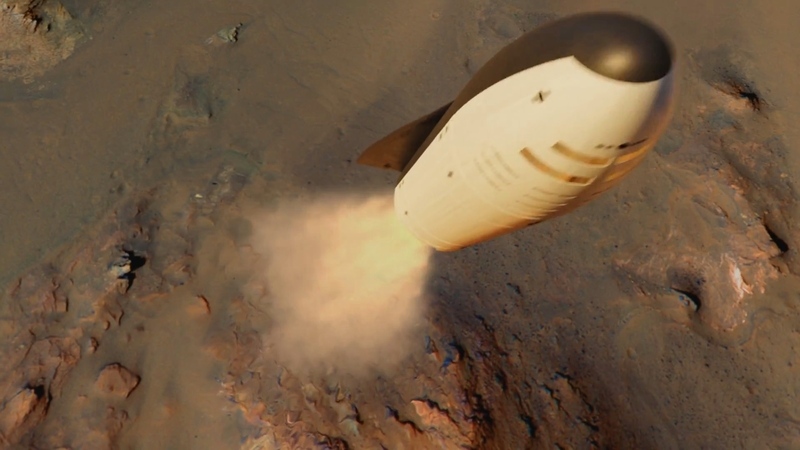 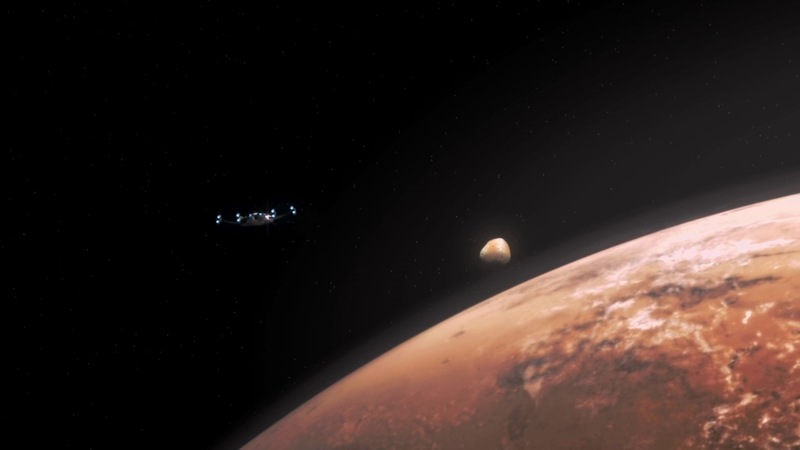 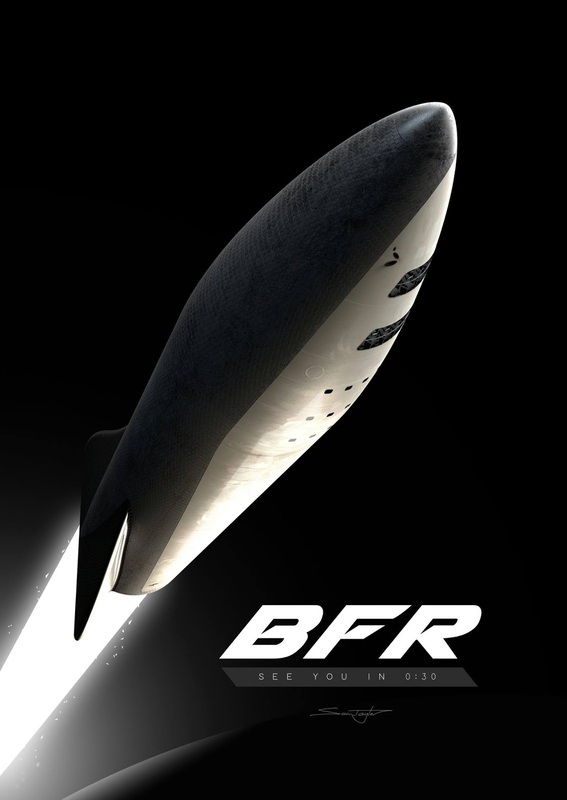 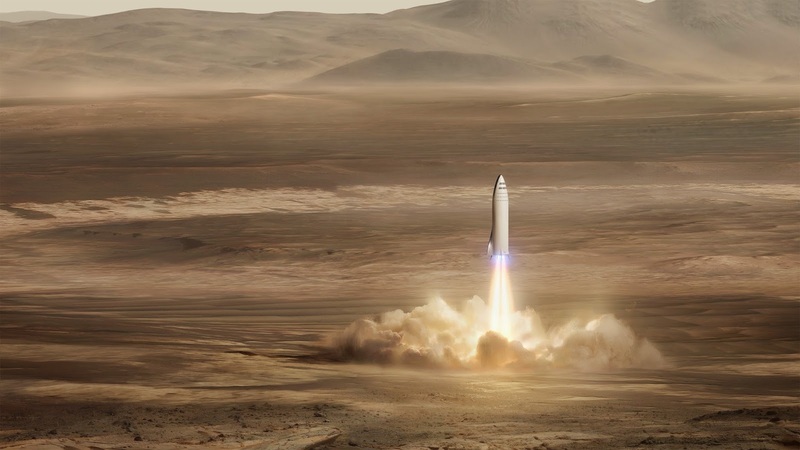 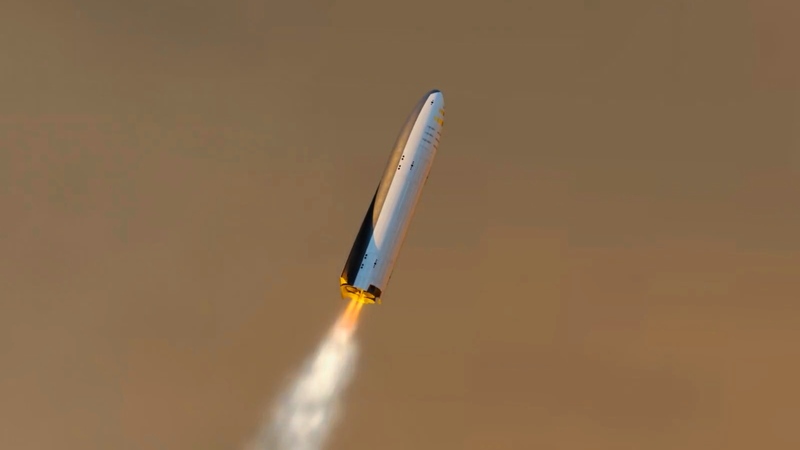 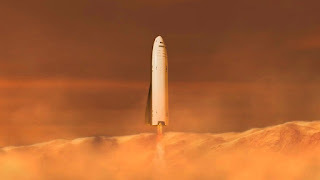 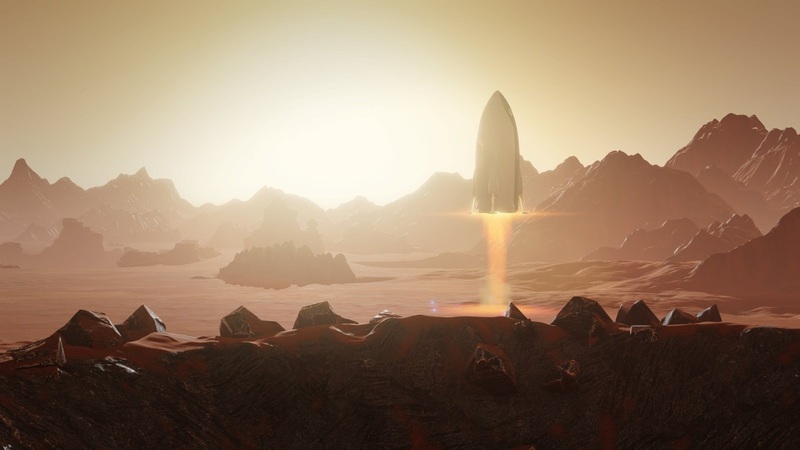 Picture of the Day 25/11/2017 - SpaceX's BFR spaceship (BFS) entering Mars atmosphere - an image from the video animation of BFS landing on Mars created by Reddit user Hazegrayart. 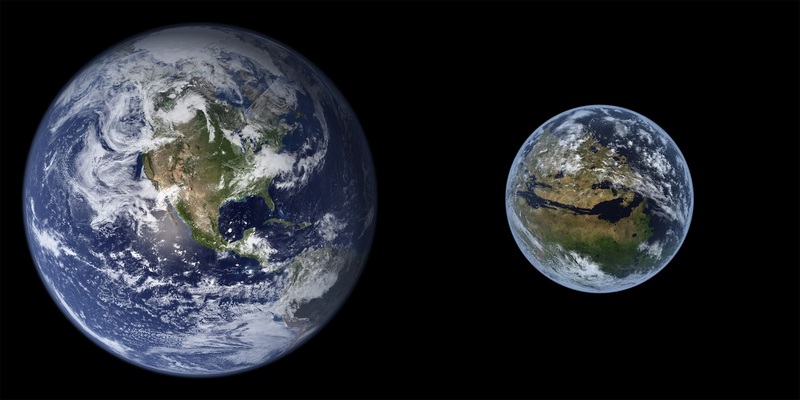 Earth and fully terraformed Mars to scale. 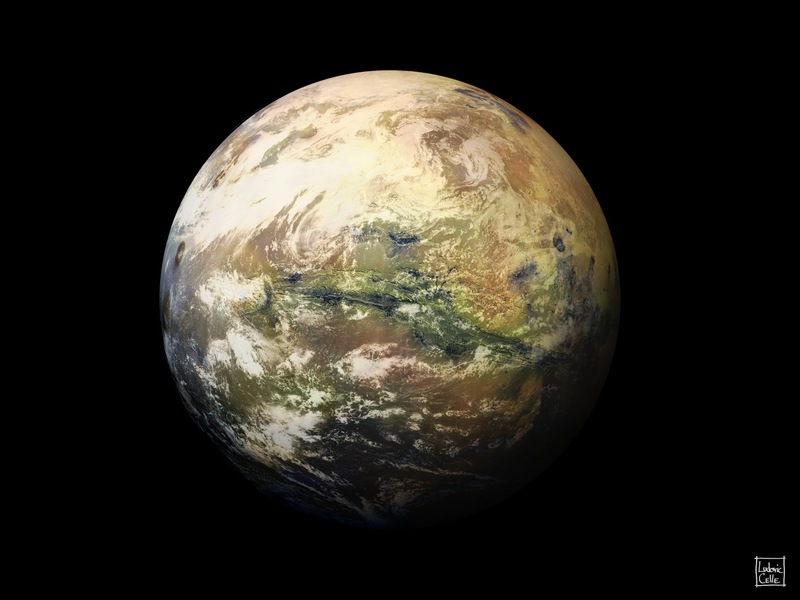 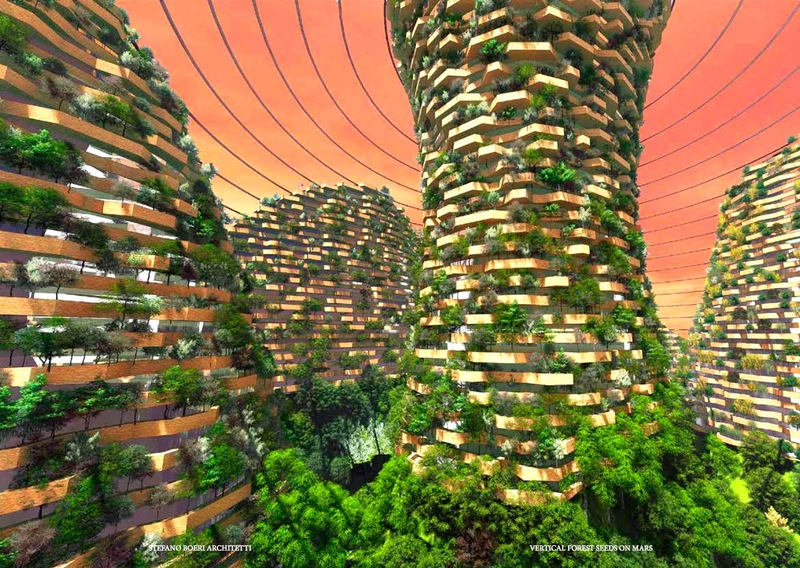 The image of the terraformed Mars was done by software engineer Kevin Gill from NASA's Jet Propulsion Laboratory. 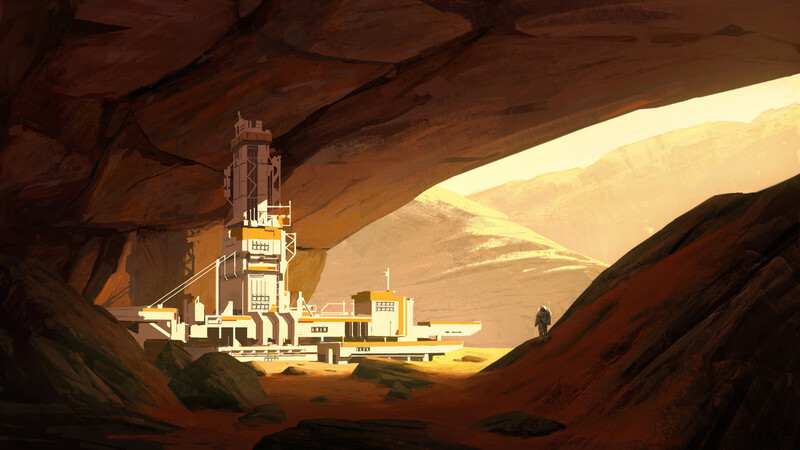 More of his images here. 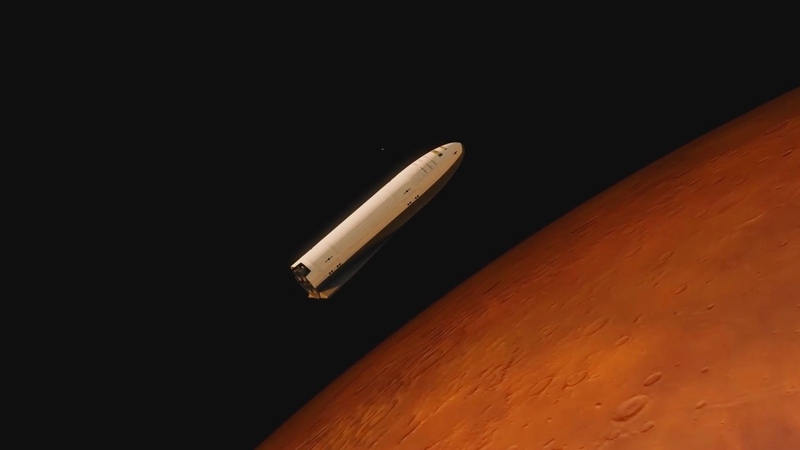 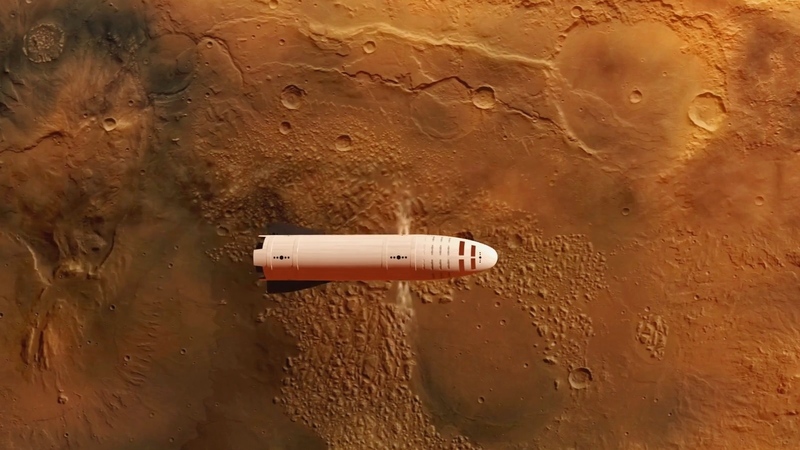 Picture of the Day 9/11/2017 - SpaceX's BFR spaceship (BFS) approaching Mars - an image from the video animation of BFS landing on Mars created by Reddit user Hazegrayart. 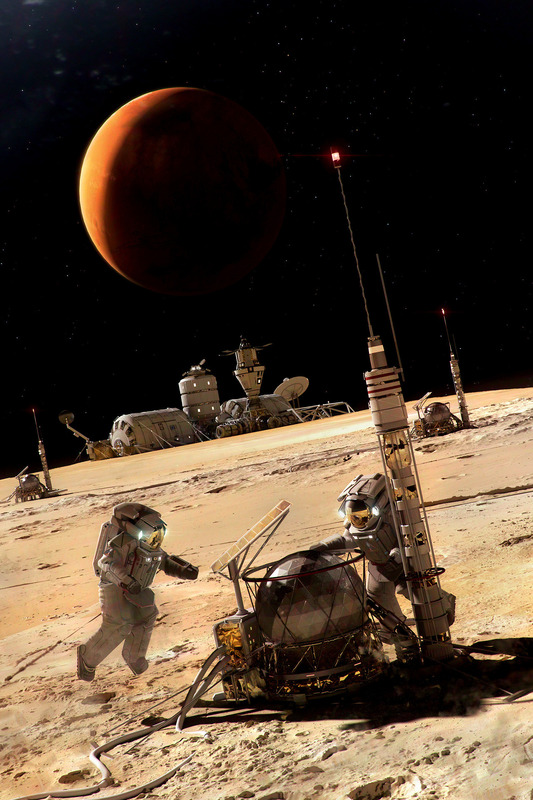 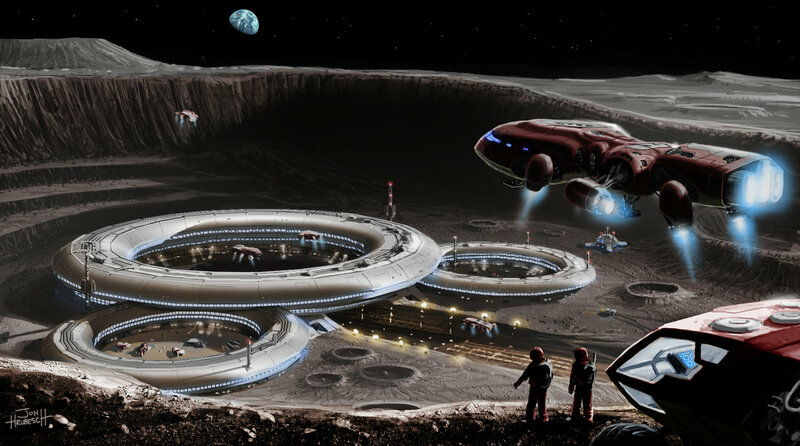 Picture of the Day 25/10/2017 - Human base on Deimos (the farthest and smallest of the two Martian moons) by French sci-fi artist Manchu (Philippe Bouchet). 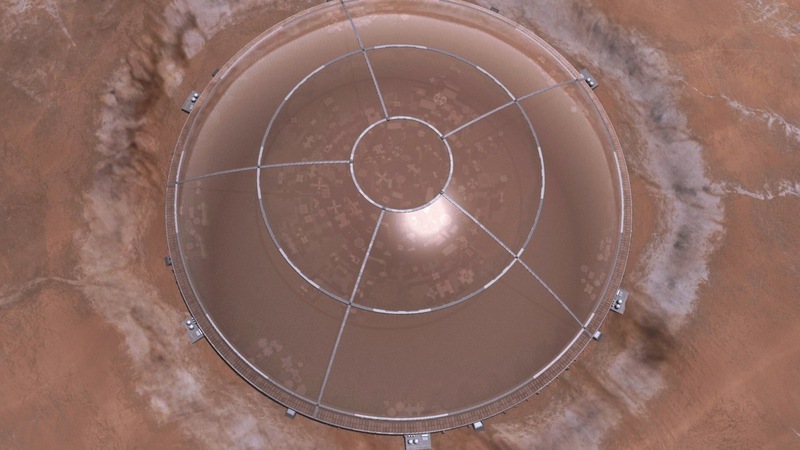 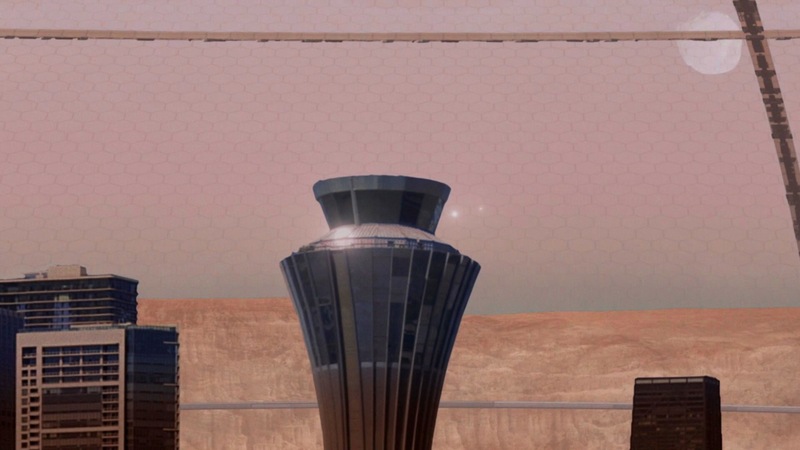 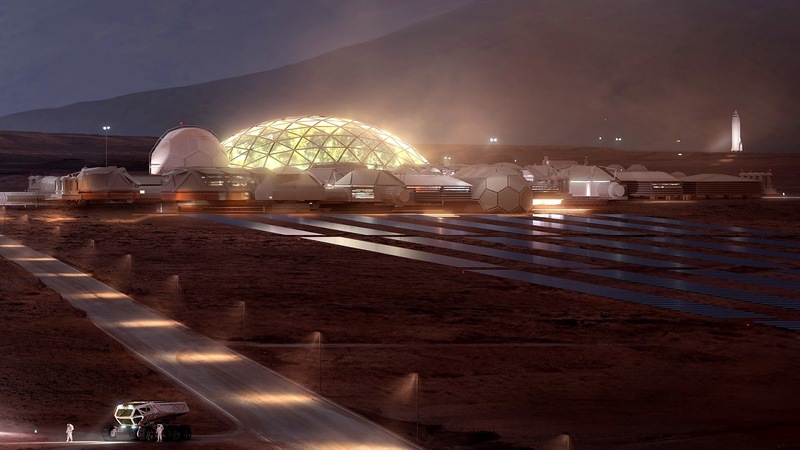 Picture of the Day 21/10/2017 - SpaceX base on Mars, featuring a transparent geodesic dome - a closeup from official Mars City concept image by SpaceX. 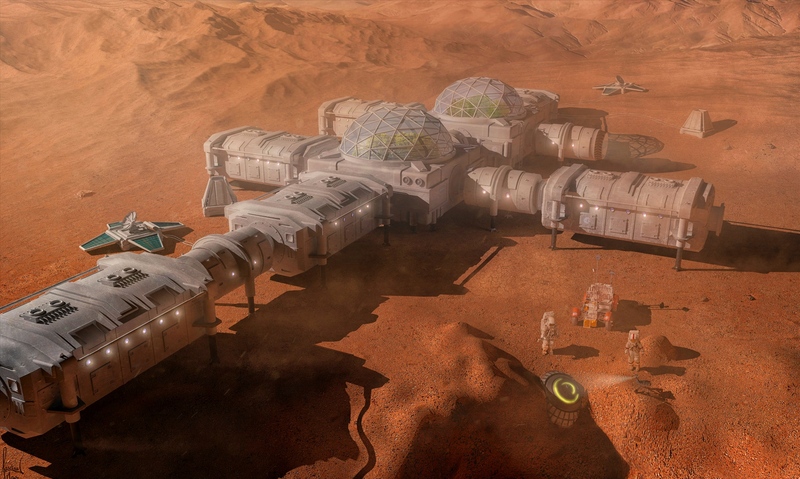 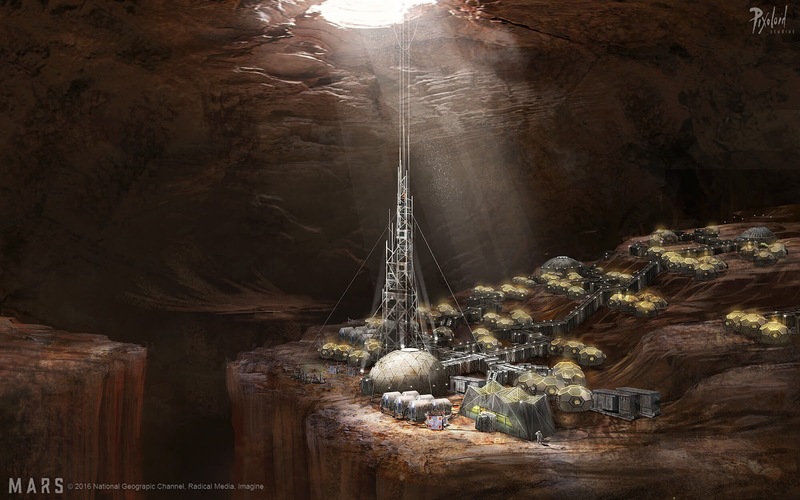 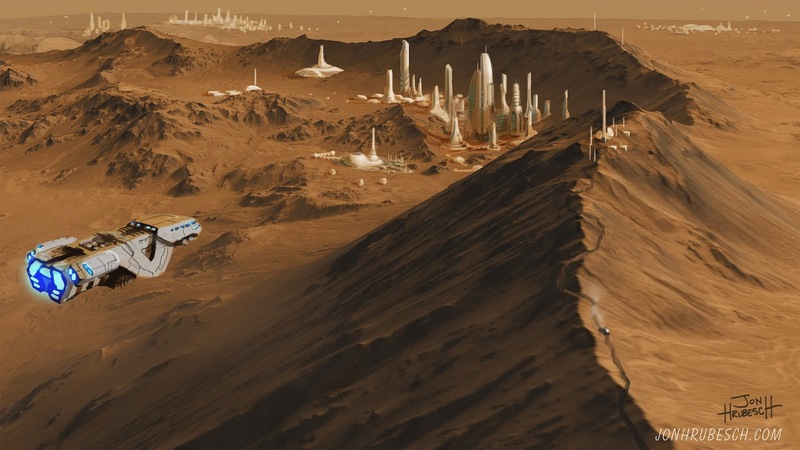 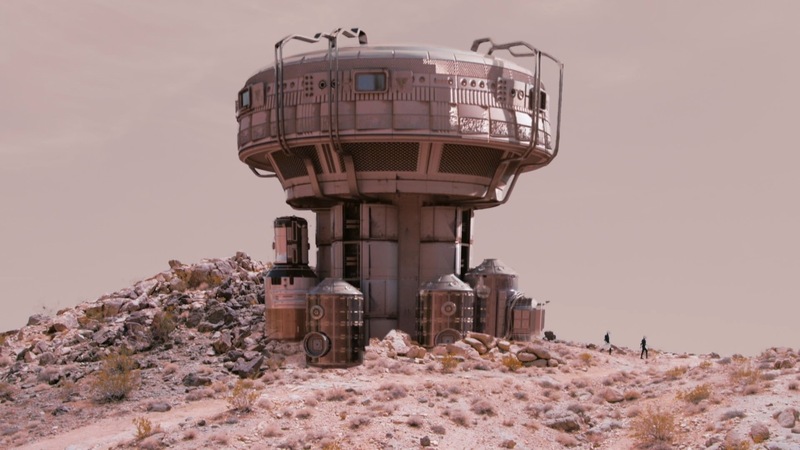 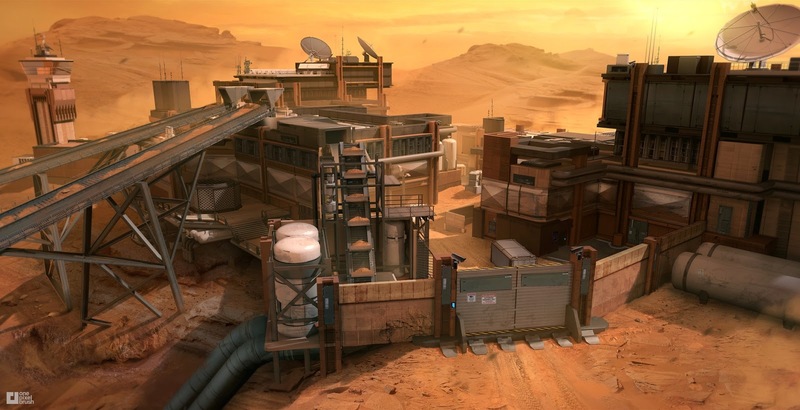 Acording to our speculated Mars Colonization Timeline the first human base on Mars could be developed to the pictured level in late 2030s. Picture of the Day 15/10/2017 - SpaceX BFR spaceship at takeoff by digital artist Sam Taylor. 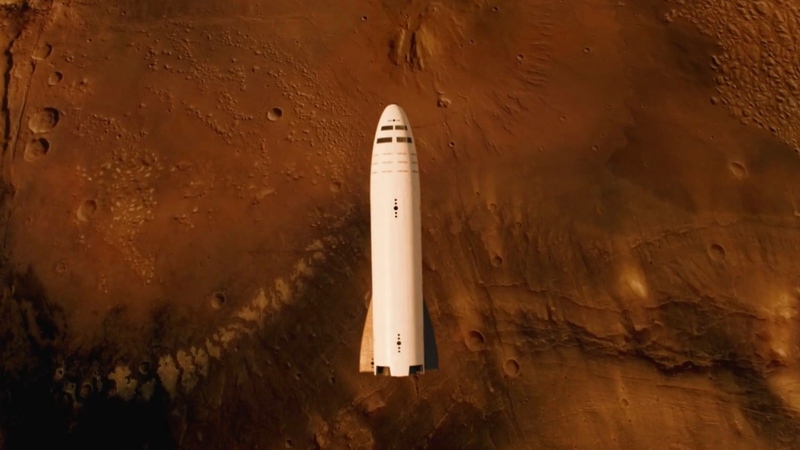 The view for the passengers will be spectacular! 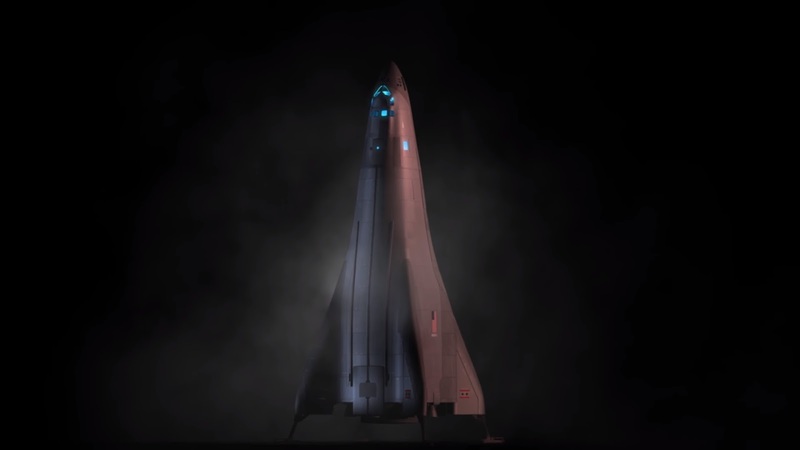 #2 picture of the Day 29/9/2017 - Lockheed Martin's Mars lander at night. 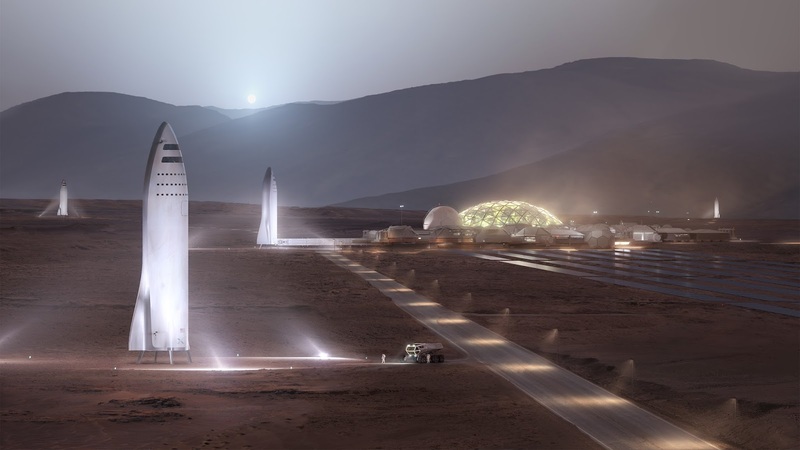 Picture of the Day 29/9/2017 - Several SpaceX spaceships near the Mars City. 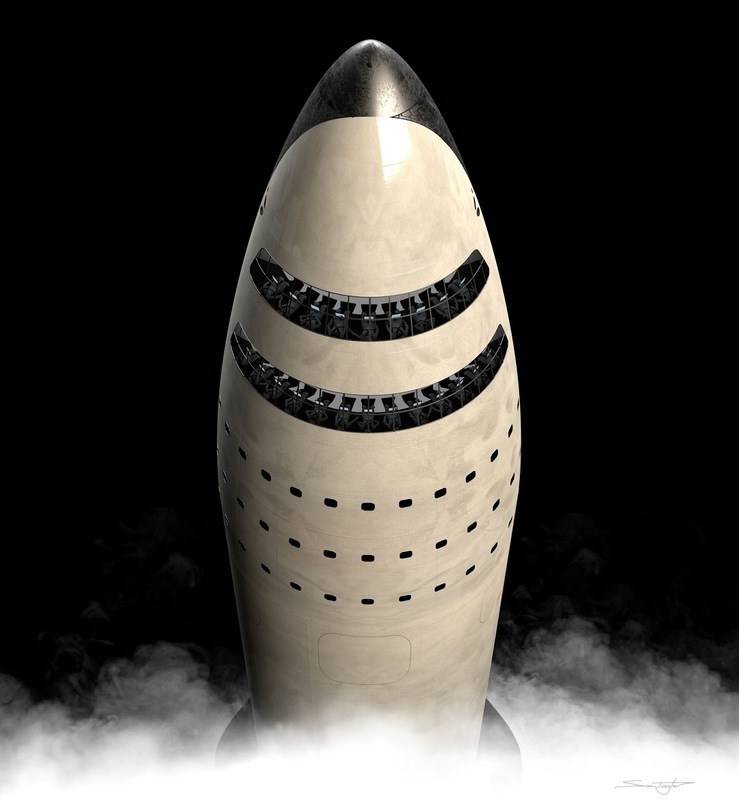 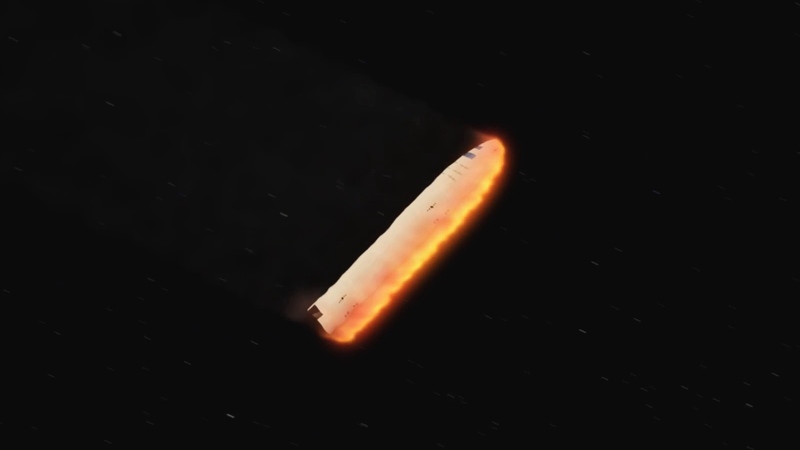 Official design by SpaceX. 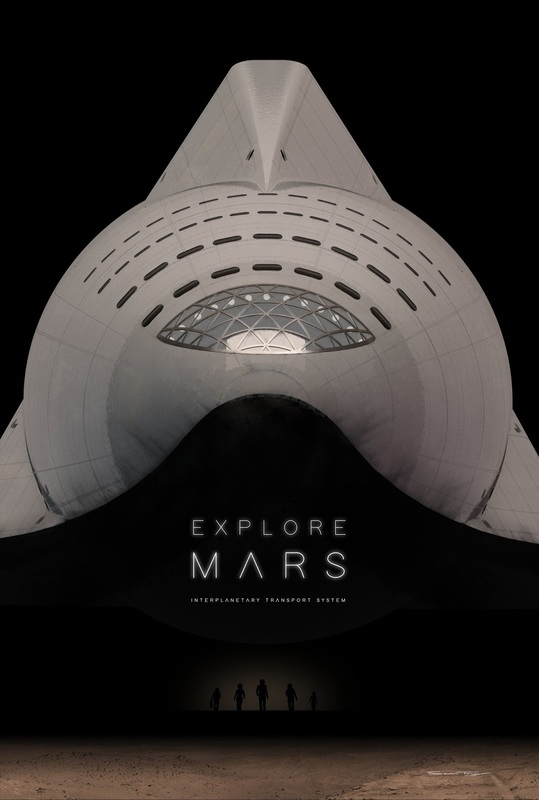 Updated with the 4K quality image on 19th October, 2017. 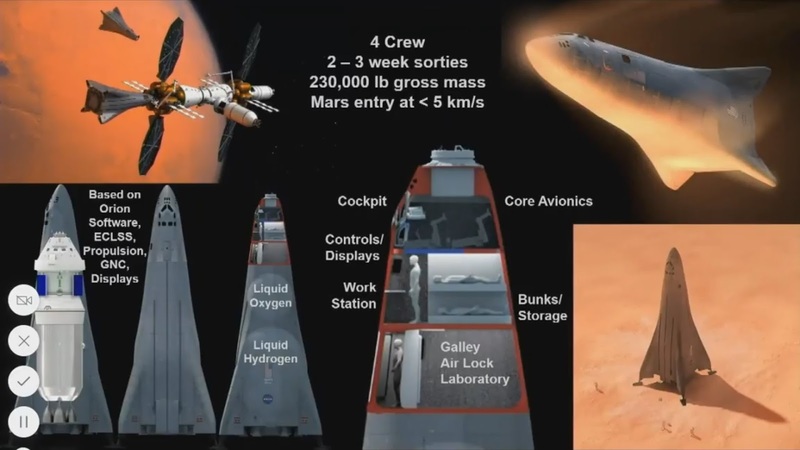 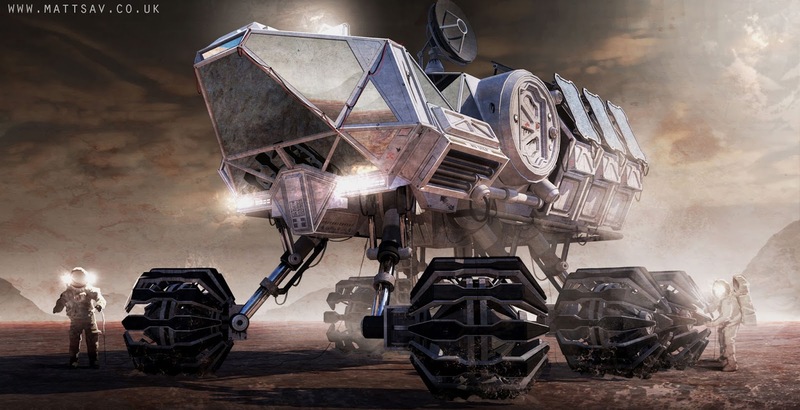 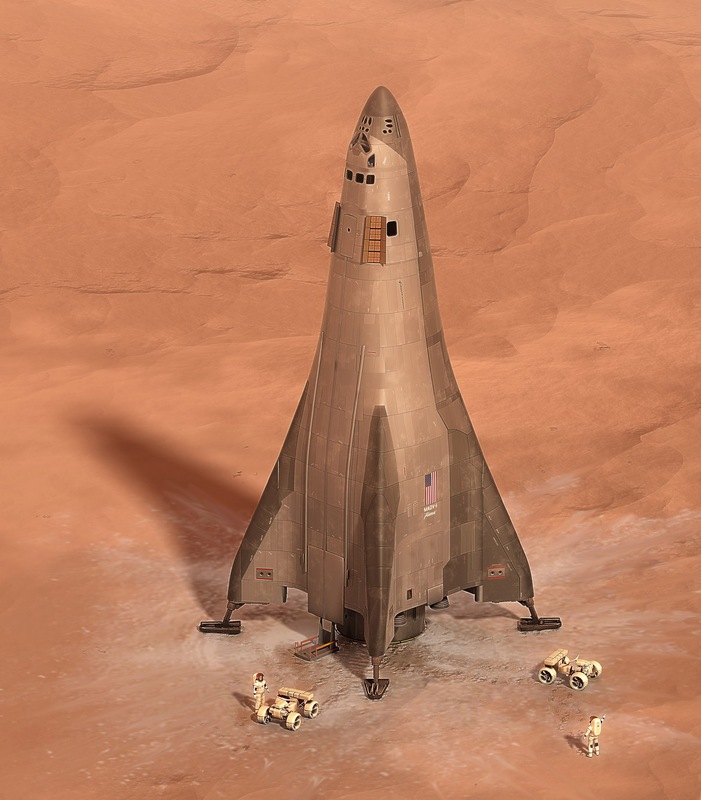 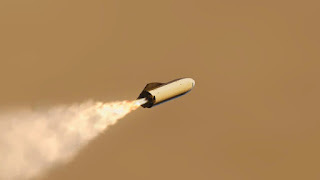 To compete with SpaceX for a viable manned Mars mission concept aerospace heavyweight Lockheed Martin has presented a Mars lander. 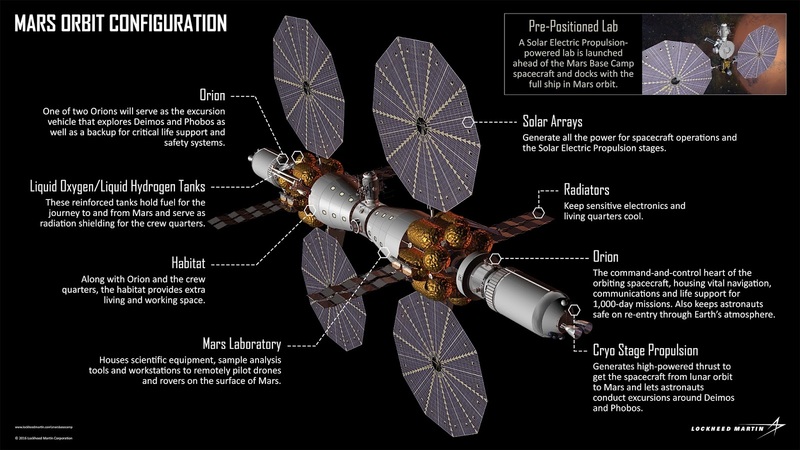 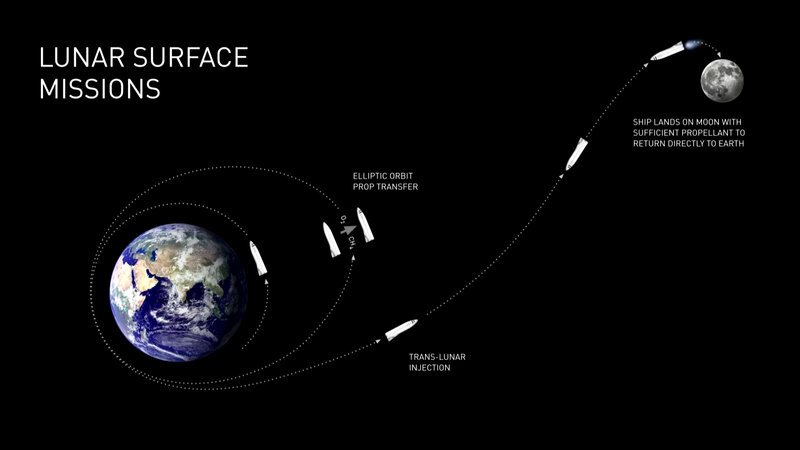 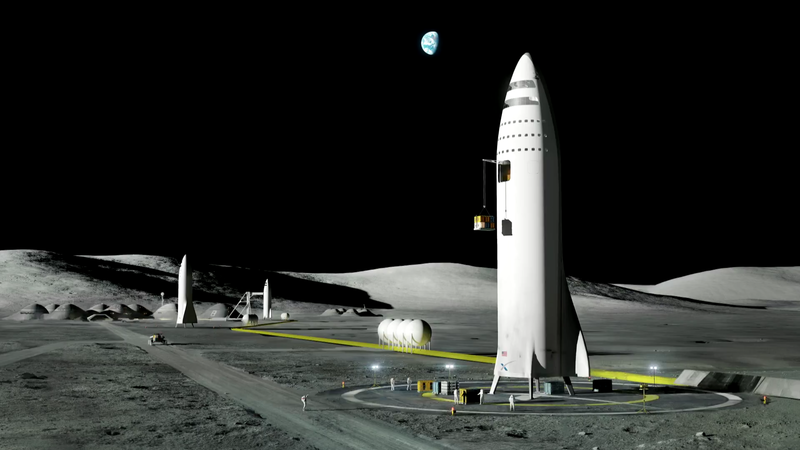 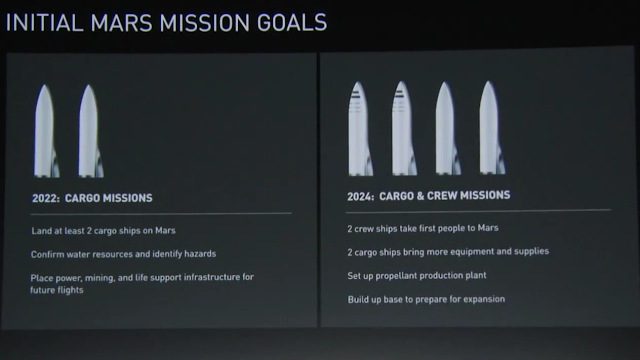 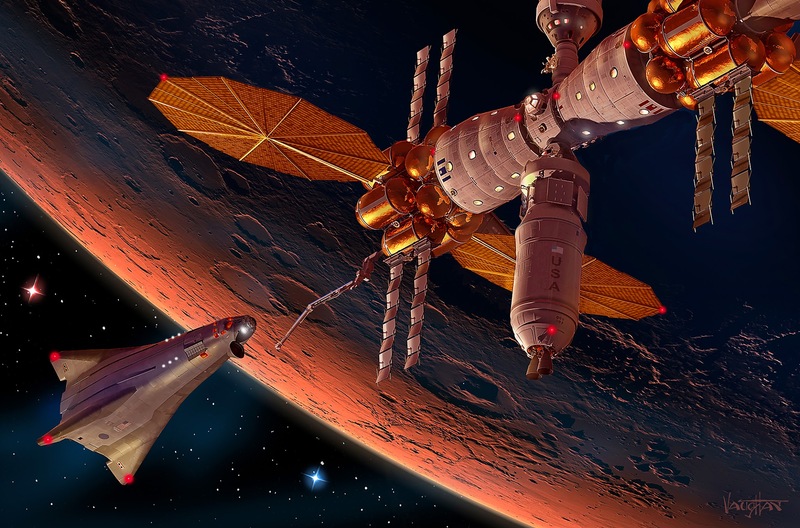 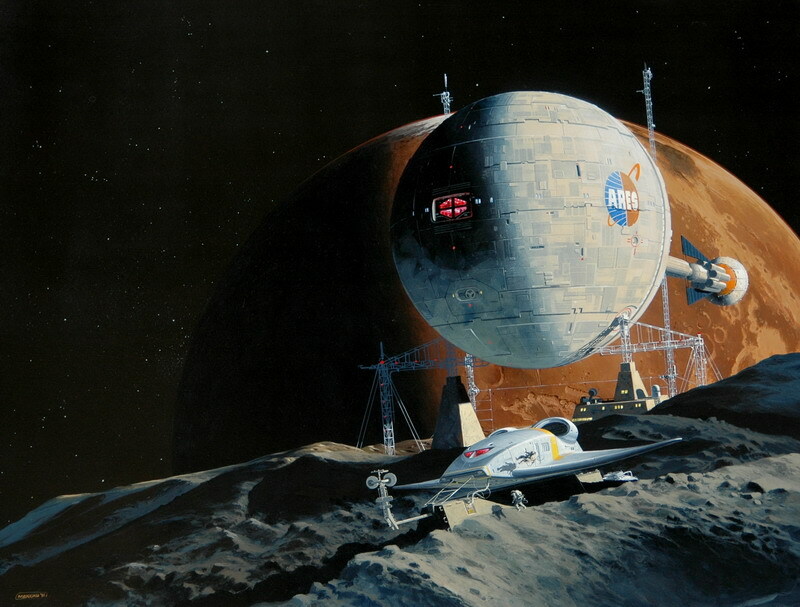 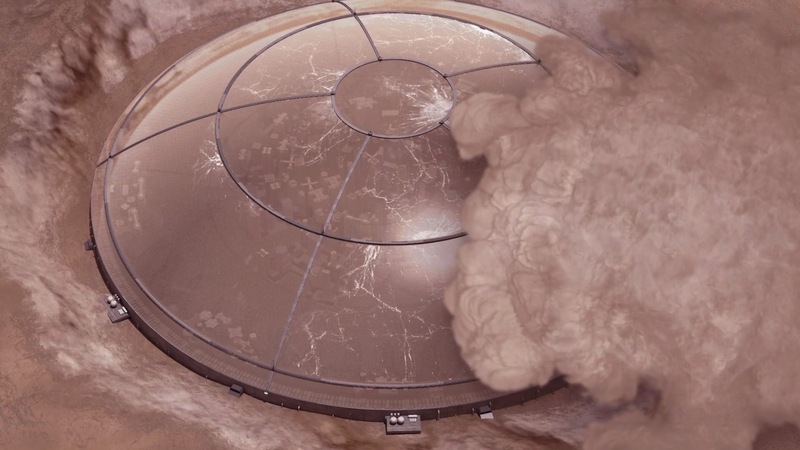 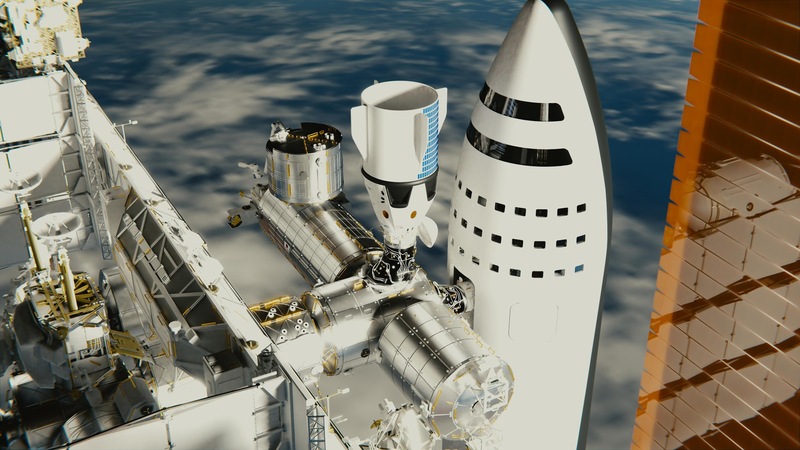 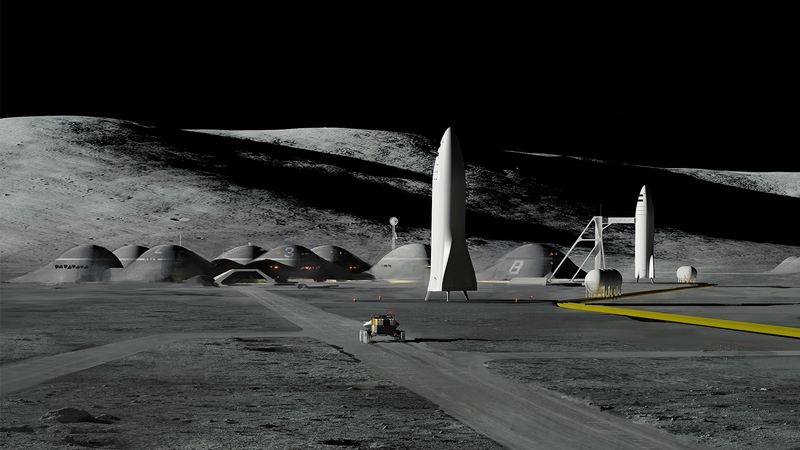 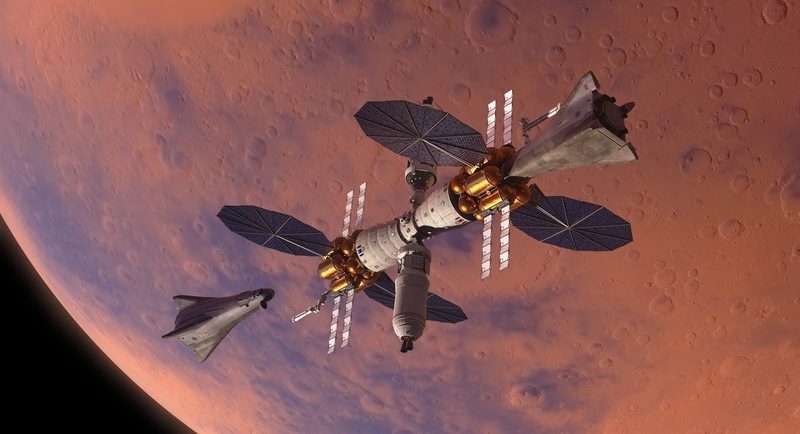 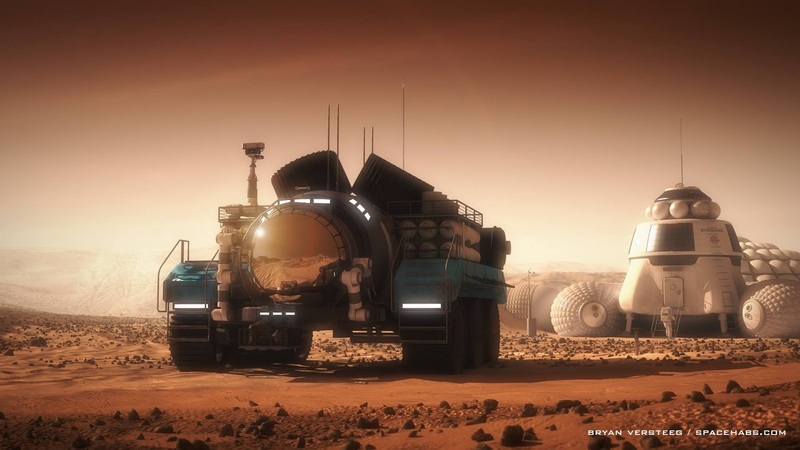 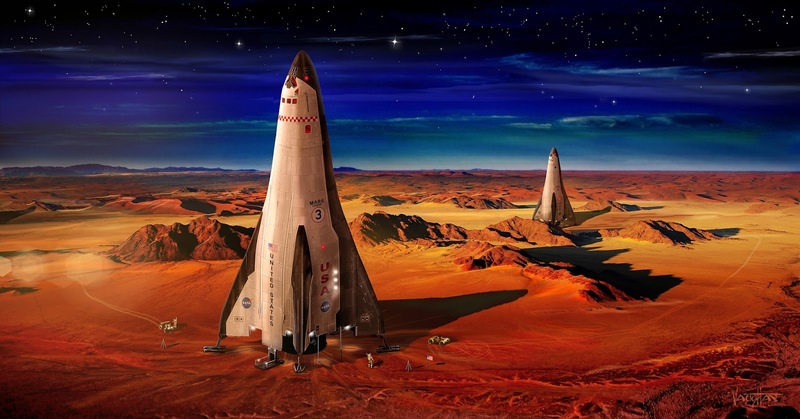 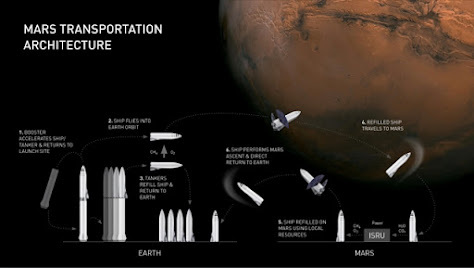 It would act as a manned shuttle between proposed Mars Base Camp orbital station and Martian surface.